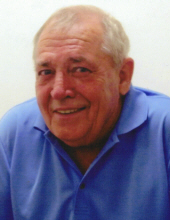 James "Jim" Marless Hyde, Jr. passed away on February 10th after a lengthy and courageous battle with cancer. He was born on December 5th 1946 in Paragould, Arkansas. After attending Greene County Tech in Paragould, he enlisted in the Army in 1963 where he served several years in Germany. After returning from service, he began his career in construction, which brought him to a small town in Northern Michigan where he met his wife of 16 years, Linda. Together they owned and operated Cheers Bar and Grill in downtown Escanaba, as well as a construction business for several years. In 1992, Jim moved to Green Bay, Wisconsin and founded Hyde and Son Home Improvements with his son, James Marless Hyde III. He operated the company until his retirement in 2012, when he moved back to his hometown of Paragould. The company is now owned and operated by his dear friend Jeffrey Vasseau. Jim's hobbies included cheering for his beloved Green Bay Packers, playing fetch with his lovable mutt named Bubba, consistently beating his younger brother Eugene in cards and taking long drives down country roads with his special friend, Barbara. Jim was an "expert handicapper" at the horse track (self proclaimed) and loved driving to Hot Springs to bet the ponies. He loved John Wayne and Humphrey Bogart movies and could recite every line. Jim was an unforgettable character with the funniest stories that were almost always true. He is survived by his mother, Eula Mae Hyde of Paragould, children James Hyde and Kimberly (Allen) Lantagne of Escanaba, Michigan and Jamie Hyde (Cash Daugherty) of Edmond, Oklahoma. Siblings Eugene (Diann) Hyde, Betty Faughn, Kenny Gladish and Carolyn Gladish, all of Paragould, AR, as well as numerous nieces, nephews and grandchildren. Jim was preceded in death by his sister Jeanette Liddell, father James "Cotton" Hyde, brother-in-law Wayne "Chief" Faughn, brother-in law Melvin Liddell, nephew Kenneth Ray Gladish and the beloved mother of his children, Linda Sue Hyde. The Hyde family will be receiving guests for a celebration of Jim's life at Heath Funeral Home on Thursday February 14, 2019 from 4:00-6:00 pm. In lieu of flowers, the family requests that those who can attend please share a memorable story about Jim and those who cannot attend, please email any stories or great memories about Jim to JimHydeMemories@gmail.com. To send flowers or a remembrance gift to the family of James "Jim" Marless Hyde, please visit our Tribute Store. "Email Address" would like to share the life celebration of James "Jim" Marless Hyde. Click on the "link" to go to share a favorite memory or leave a condolence message for the family.